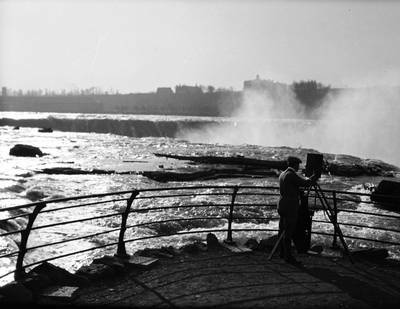 "Filming at Niagara Falls, New York"
Filming at Niagara Falls, New York, ca. 1915. BW film negative; 3.5" x 5.5"